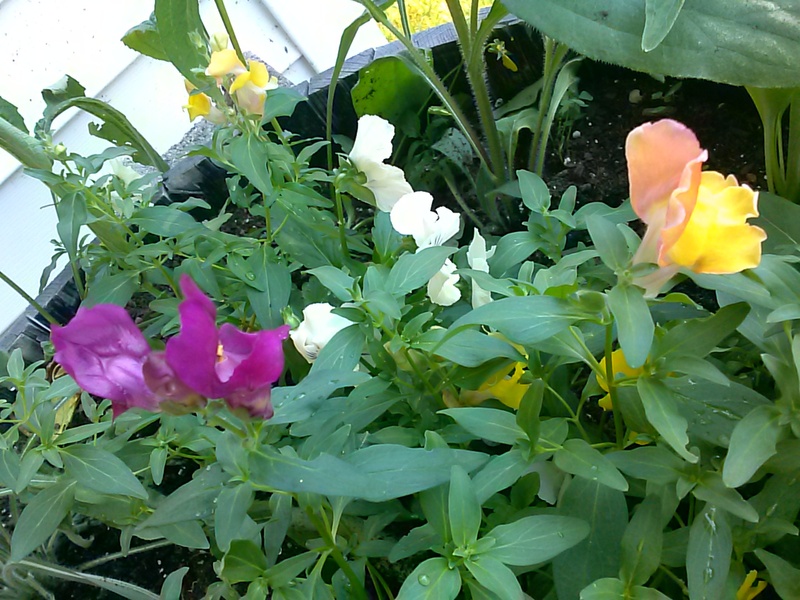 Here are some Snapdragons and Pansies I have growing in a barrel on our porch. I’ve never grown snapdragons before. I like them, they are very colorful. 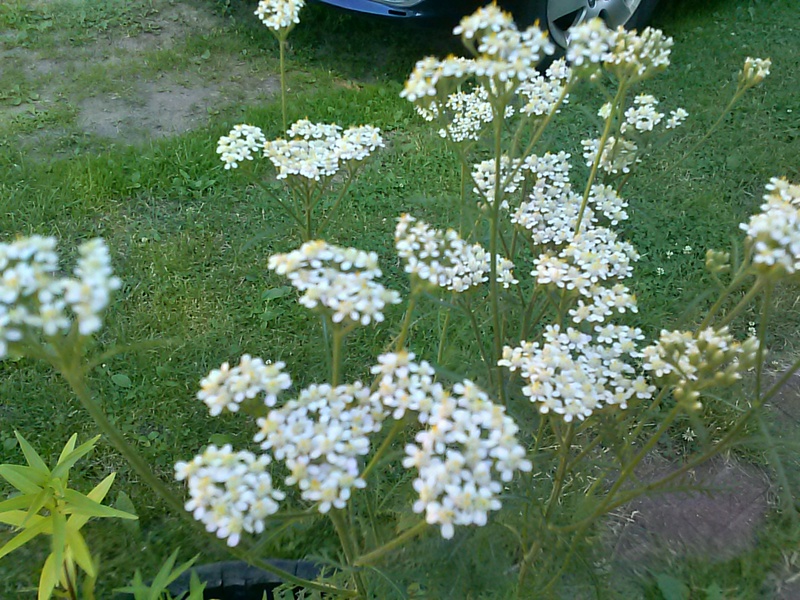 Here is some yarrow that is growing next to my not-yet-bloomed lilies in a barrel. We have some wild (like this one) and some that I believe my mom said she planted that comes in different colors. I am not sure what these are, but they grow on the side of our house and they are pretty. 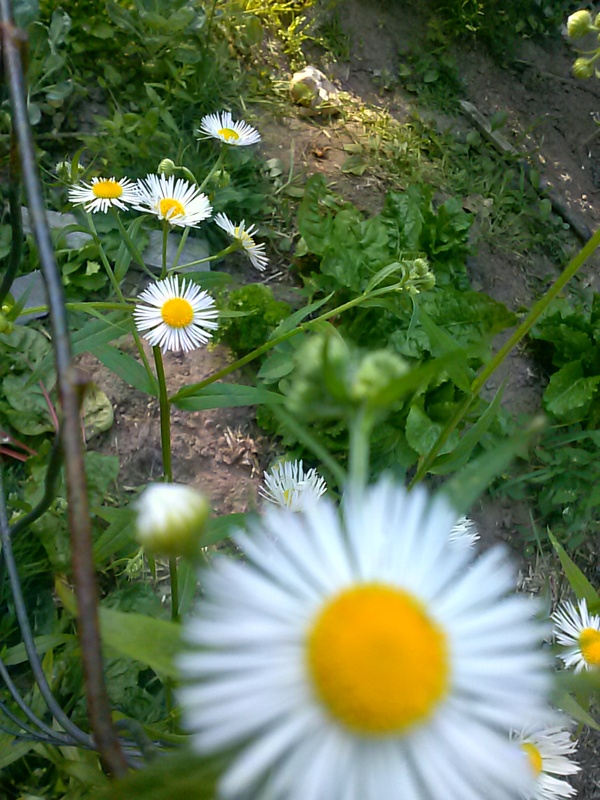 I’m not sure what this is, it’s a wild daisy-type flower that grows in my yard. 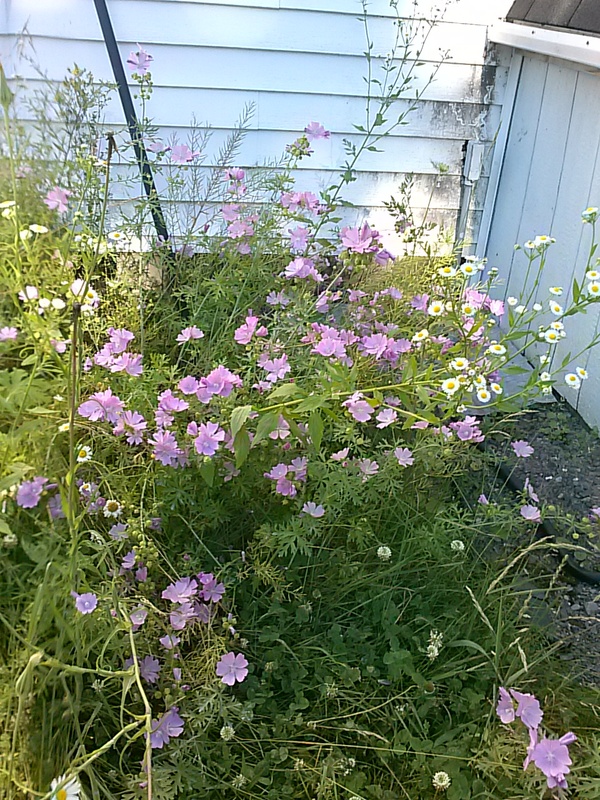 The plant is about 3-4 ft. tall, and these flowers are about the size of a quarter. 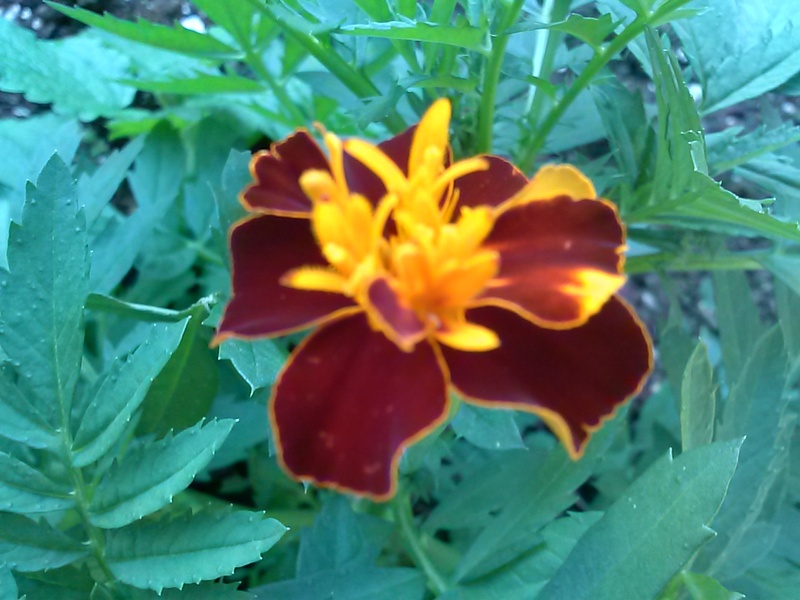 Here is one of my marigolds. I have a few of these scattered in the garden, and in some flower barrels on the porch. 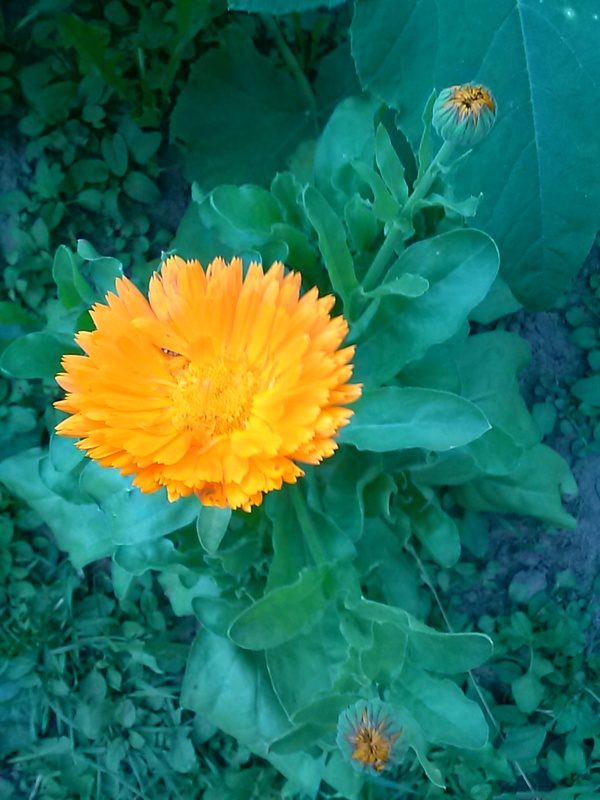 One of my Calendulas, now in bloom. This is the first year I’ve grown this, I really like the flowers. They are very bright. 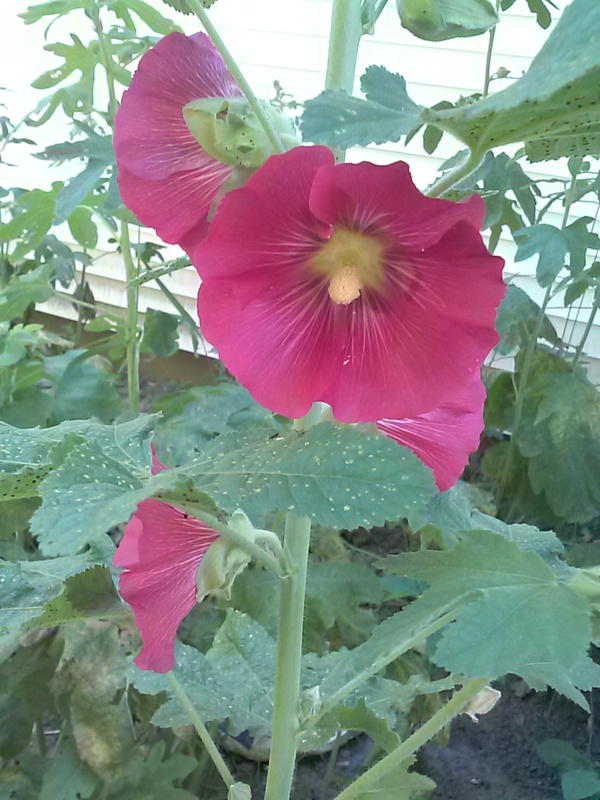 One of our many hollyhocks. We have a tiny hollyhock “forest” near our side door – my mom planted some years ago and they keep coming back each year. There are probably 10-12 plants, and this is one of the first to bloom this year. 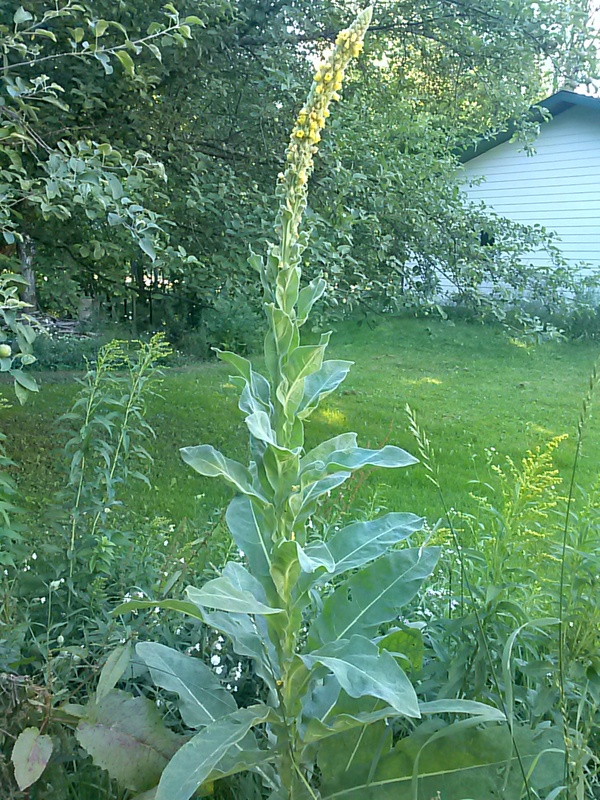 A large Mullein growing in our asparagus patch. This is a medicinal plant, and it’s probably about time to harvest it – I need to do some research on the proper method of doing that. 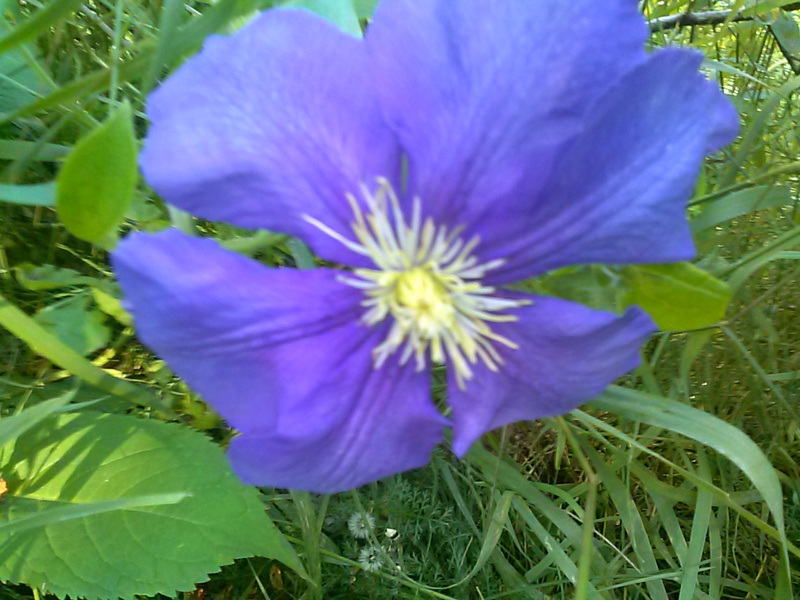 These clematis grow near our rose bush. Last year was our first spring here, and I stole their support fence for a different spot, because I didn’t know they were growing there. They are in an area where the grass gets really tall, so that is what is supporting it at the moment. I plan on giving it better support here soon. 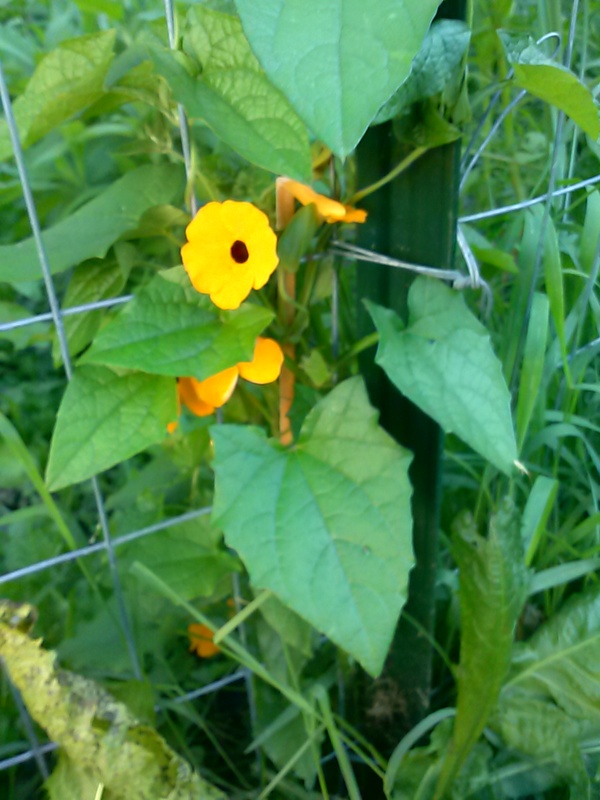 Here is my Black Eyed Susan Thunbergia, growing up my fence. Thanks for checking out some of my flowers. Previous Article New chicken run!